The company was started in 2012 in Colorado. The goal of the brand is to deliver pet food of high quality and made with natural ingredients, such as grain-free and raw foods. The formulas are approved by a holistic veterinarian. The company also sells vitamins and supplements. 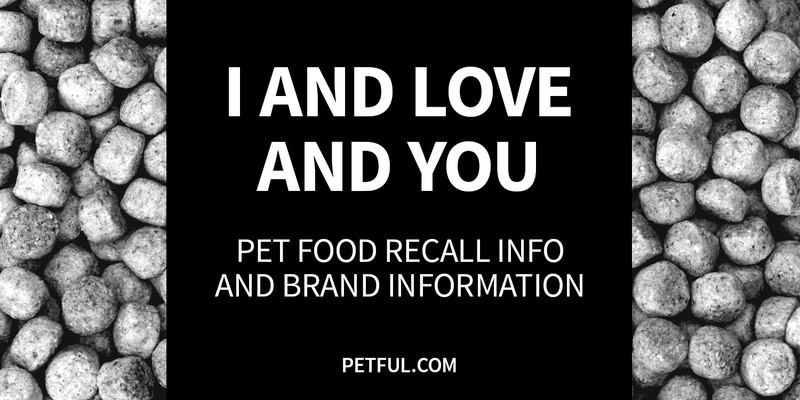 Has “I and Love and You” Ever Been Recalled? Yes. In 2015, the company recalled dog treats because of the potential for salmonella contamination. Cause: Potential for salmonella contamination. Announcement: Company announcement and press release dated July 14, 2015. What was recalled: 2 oz. bags of “I and Love and You” Cow-Boom! Strips Beef Gullet dog treats with lot numbers ending in 4T1 or 5T1 and “Best By” years of 2016 or 2017. Have You Had a Problem With “I and Love and You”?